Now that I know the magic of Instant Pot with chicken–I mean, 8 minutes? Come on!–I’m going through my favorite chicken dishes and cooking them again using my Instant Pot. With this dish, I didn’t get the sticky consistency I would normally get if I make it on my hot wok, so I had to improvise and add more honey when I was reducing the sauce. I increased the sauté heat from “normal” to its maximum, just like I would on stovetop. This is even better with kimchi! 1. 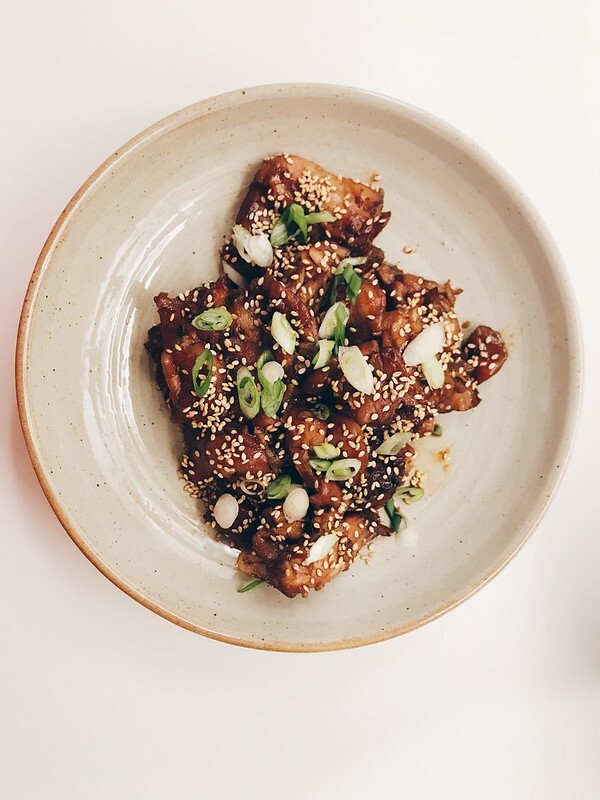 In your Instant Pot, combine 1/4 cup water, the soy sauce, honey, Gochujang sauce, sesame oil, ginger, and garlic. Add the chicken, tossing to coat. Cover and lock the lid properly. Select the Pressure Cook function for 8 minutes. When it’s done, do a quick release after venting and letting the steam out. 2. You will need to thicken the sauce. Turn the sauté function of your Instant Pot and cook for at least 5 minutes to reduce the sauce until you like the consistency. Feel free to squeeze in another dollop of honey to add more stickiness. Stir a few times to keep coating the chicken. 3. Scoop to a bowl of white rice and sprinkle with toasted sesame seeds and scallions.